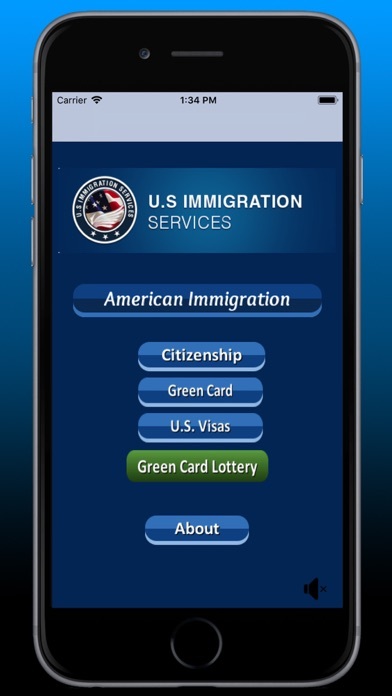 iPhone 8 and 8+ ready, iOS 11, Updated with all latest immigration questions and answers. One stop for all your immigration questions and answers including all Links to download forms. 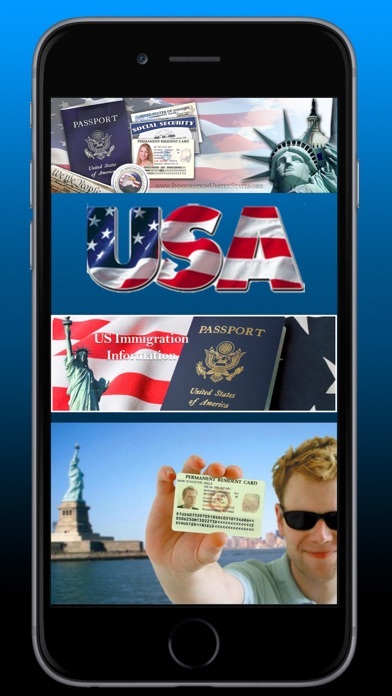 This app is created using our real life experience of immigrating to the United States. Got Visa, Greencard and Citizenship for our Children.We will guide you on the right track with the best attorney in US. Have travelled to Mexico for stamping Visa and came back safely to US. 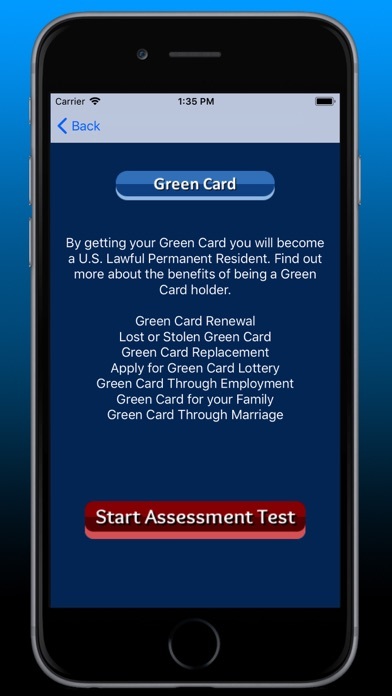 Don't waste your time & money on cheap new apps by the new comers who themselves haven't gone through the immigration process, neither to US.They are trying to make quick bucks by misleading people by just selling the apps. Trust the professionals in this business. 100+ questions & Answers. During the civics portion of your naturalization interview, given orally by a United States Citizenship and Immigration Services (USCIS) officer, you’ll be asked 100 questions about U.S civics (history and government). 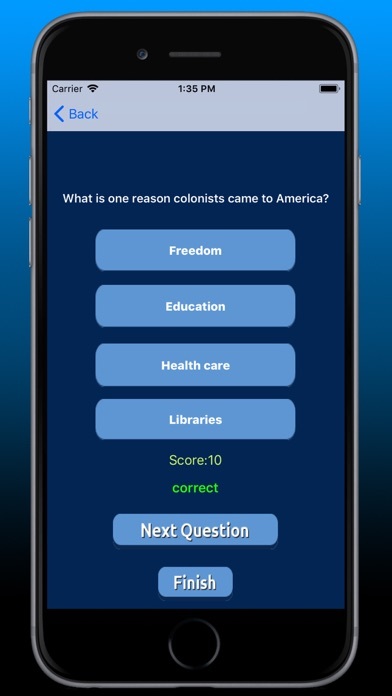 You must answer at least 60 of the 100 questions correctly. 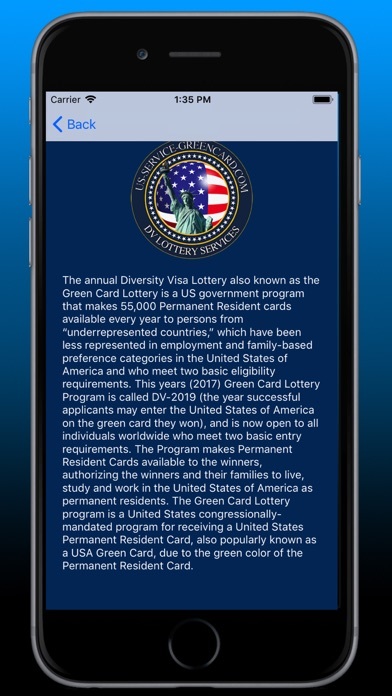 Greencard Lottery : The Diversity Visa Lottery Program is the most generous immigrant visa program in the world, with up to 55,000 Permanent Resident Cards allocated yearly. If a person is unable to qualify for family, refugee or employment visa in the United States, this is the only option they have to immigrate to the United States of America. Our goal is to be the nation’s leading practice test resource for the U.S. Citizenship Exam.